Starting now... perhaps the most useful approach to prayer for the laity--the Jesuit method. I want to begin with a basic idea that the Jesuits absolutely believe that God is always active and active now. This idea forms the foundation for our responses to God daily. Remember when I wrote of active contemplation in the perfection series? The key is to still our hearts and minds so that we can be attentive. Attentiveness underlines the Jesuit way of prayer. Do you pay attention to signs in your life regarding God's Presence? Do you pay attention to the Word of God, in Scripture, as Mass, in the homily, in discussions with your friends? Do you pay attention to excellent spiritual leaders? Do you pay attention to movements of the Holy Spirit in your life, the ebb and flow of grace? Attentiveness, of course, means that you cannot pay attention to trivia, to entertainment, to gossip, etc.? 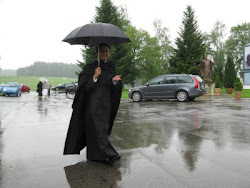 Recently, someone told me that the good emphasis on excellence and individuality in the Jesuit order is connected to attentiveness. 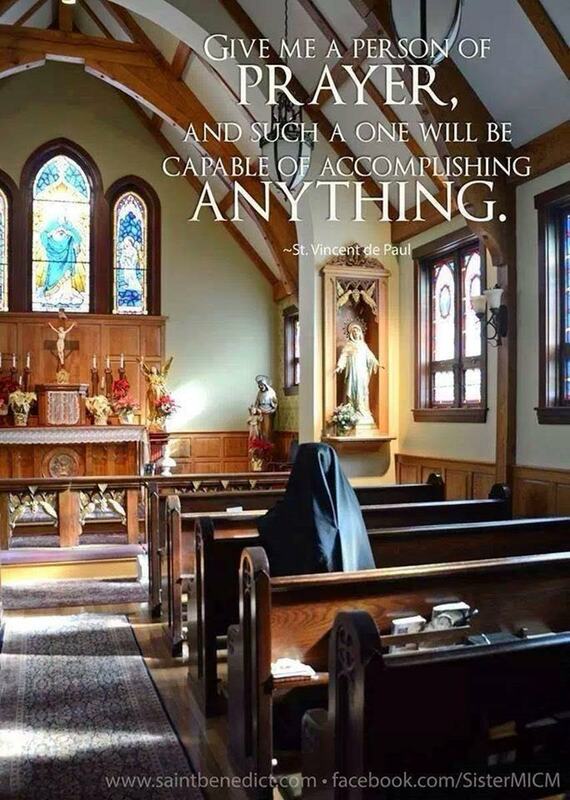 What talents has God given the priest to use in the world? What gifts are for the building up of the Kingdom? What does the Church need now? God does not want to grab us by the face with His "two hands" and say "pay attention". He wants to meet us in the attentive time of prayer, in the silence of our hearts and minds. Number one lesson today from the Jesuits--be attentive to God. ...on this point. Pray he declares the last doctrine--Mary as Mediatrix of All Grace, and Co-Redemptorix. This would be a good time to do this...doncha' think? "'Restricting talented workers from staying on in the UK would damage business and lead to a loss of important skills.'" 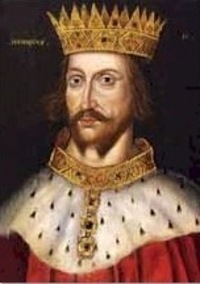 Today is the feast of the great St. Henry. 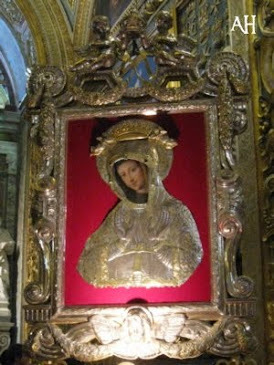 His wife has been spotlighted on this blog--St. Cunegunda. Pray to them for me and for STS, please. 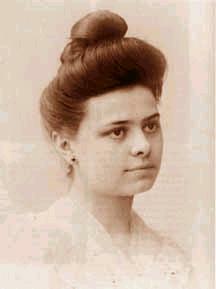 So much more could be written on the deep spirituality of this young saint, Elizabeth of the Trinity. However, I need to move on to the Jesuits and to the Benedictines this week, so this post is the last one. I cannot recommend her books enough to my readers. I have been borrowing these from a friend, and if any readers would like to purchase for me her complete works, in several volumes, I would greatly appreciate that. Today I end with an amazingly appropriate image from Elizabeth for all lay persons to ponder. 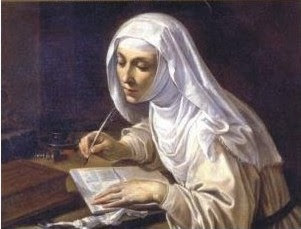 Recall how I wrote several posts highlighting St.Catherine of Siena's guidance on creating a little cell within your self to which you can go for solitude and entering into the Presence of God. Recall that we must calm our own warlike instincts before building the space God wants us to have in order to meet us-St. Catherine's little cell. Elizabeth takes this idea and makes the interior cell into a city, the City of Jerusalem, the "inner kingdom of the soul", the "the fortress, the unassailable citadel of interior recollection". When Christ stated that the Kingdom of God is within, this insight of Elizabeth's is what He meant. We internalize this place in order to meet the Indwelling of the Trinity, Who is already there within us, waiting to be discovered. We have this Indwelling (follow the tags) from baptism. Only sin and imperfections keep us from finding God within. This is not pantheism, but a grace for those predestined by Divine Providence to be with God in the heavenly Jerusalem. But, the quest begins here. To create this little citadel within, one must get rid of trivial distractions and useless occupations which distract us. Distraction is the main reason, in my opinion, for the lack of interior solitude. Are we like Martha in our daily lives, too busy to sit at the feet of Christ and listen? Elizabeth's interior city is not only where we meet God, and prepare a place for him, but where we meet the Love to give to others. When things fall apart around us, and they will, we must be able to stand in the midst of chaos in the little city of our minds and heart, with Christ, listening, resting, praying, counseling. Cell and city become one and those without this will have no protection in the days to come. Blessed Elizabeth of the Trinity gives us new insights into the virtue of humility. Amazingly, these are shared in retreat notes written by such a young person one sees clearly her holiness. 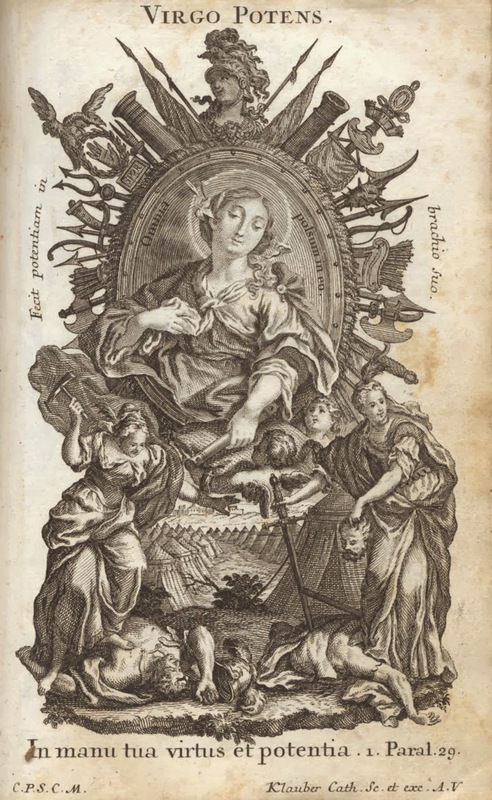 Elizabeth's insights into the Scriptures make one forget that she wrote over one-hundred years ago-- she is a saint with infused knowledge regarding the works of St. Paul, and the Gospels. Let me share two of her insights into those who are humble. First, "...their weakness turns into wisdom, and the imperfection of their acts, always insufficient in their eyes, will be the greatest delight of their lives." In other words, one experiences joy when one sees one's sins, as then one understands the soul's real relationship to God and is grateful for His love and mercy. Perhaps, this is why some saints struggle with imperfections and even venial sins for years, while others are freed of these early on in their lives---for greater humility. St. Augustine comes to mind. And, even more profound is this note from Elizabeth, an extension from a quotation from the Belgium mystic Ruybroeck . "...to be plunged into humility is to be plunged into God, for God is at the bottom of the abyss. That is why humility, like charity, is capable of increasing." Elizabeth was meditating on the words of both St. Teresa of Avila and Blessed John of Ruysbroeck, a mystic who wrote on humility. 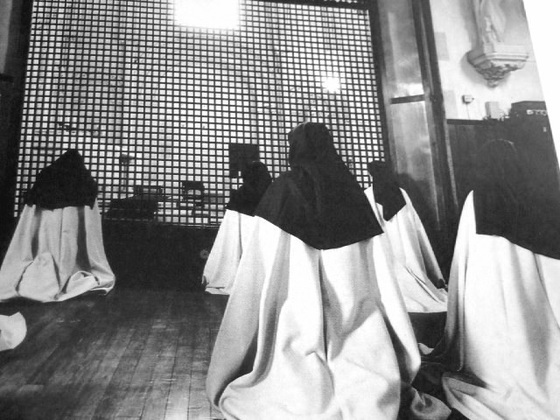 He used the word "abyss" but Elizabeth takes his reference to humility a step further and applies this experience of the Dark Night to an experience of bridal love, the bridal love of the soul of a contemplative, which joins with humility in the mystery of God's Presence within the soul-the Indwelling of the Trinity. Elizabeth was allowed to see the connection between deep humility and love. 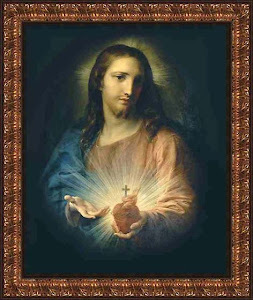 Her bridal love for Christ and the perception of Christ's bridal love for the individual soul create a bridge from the abyss of the Dark Night to the stage of enlightenment, which brings to the soul a seeing of the world and one's self as Christ does, and a living in constant virtue. In other words, Elizabeth's gift to us on these levels of prayer is that love moves one through the stages, and love is the reward of each stage. 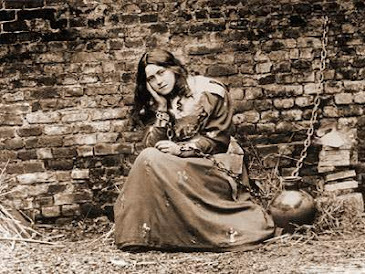 It is significant that this young saint experienced the love of union with God, as did St. Therese of Lisieux, but both were asked to suffer after that unitive experience, as victims of reparation for others. For the lay person, this seeking of the contemplative life cannot be seen as a luxury, but a necessity. 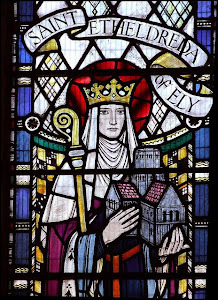 Elizabeth, even in the last sufferings of her illness, maintained her great faith and hope for union with Christ in heaven. She was very aware that she was destined for heaven. 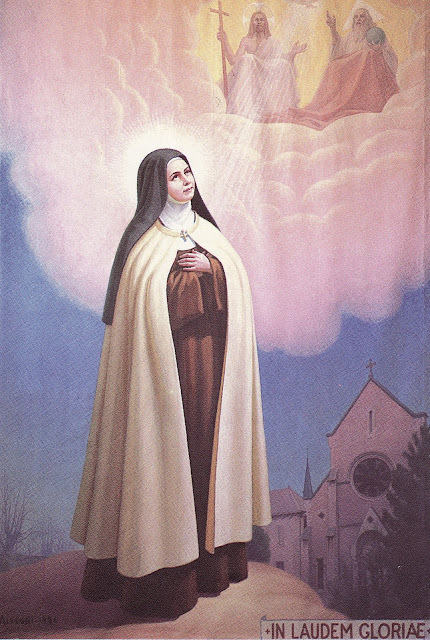 Her humility, founded on love, teaches us all that even in a young and simple life, one can endure suffering more easily when one has self-knowledge of one's sins and also clings to Christ. Let us ask for these graces, in order to withstand the coming suffering we shall all have to face. After one more posting on Elizabeth of the Trinity, I shall move on to St. Ignatius. "When I read in the Gospel that "Mary went in haste to the hill country of Judea," to perform her loving service to her cousin Elizabeth, I imagine her passing by, so beautiful, so calm and so majestic, so absorbed in recollection of the Word of God within her. Like Him, her prayer was always this: "Ecce. Here I am." Who? "The servant of the Lord," the lowliest of His creatures: she, His Mother! Her humility was so real, for she was always forgetful of self, free from all anxiety. And she could sing,"The Almighty has done great things for me; henceforth all people will call me blessed." Gratitude is the mark of this young saint. More than many other holy people, Blessed Elizabeth of the Trinity expressed gratitude over and over in her prayers, meditations, comments. She knew she was a grateful person and taught others to be grateful. So many lay people complain, and some do so almost constantly. The prayer of gratitude never crosses their lips, except, perhaps, in the prayer before meals. Gratitude indicates humility. One must know one has received something and not because one is worthy, but because one is needy. Look at the simplicity of her gratitude here. We can all learn this lesson. I thank God almost daily for water, for baths or showers, for clothes, for housing....all is from Him. 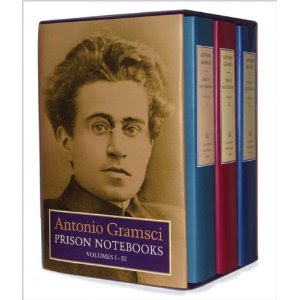 I thank Him for being able to write, to think, to read, to meditate. I thank God for my bed, my bedding, and my books...most of all, I thank God for my friends and for His care, especially in the sacraments. I thank God for my very life. "I sleep deeply on my straw mattress, something I never experienced before. The first night I did not feel very secure and I thought that before morning i would roll out of one side or the other, but nothing happened, and now my bed seems delightful to me. If you only knew how quickly time passes in Carmel, and yet it seems to me that I have always lived in this dear house. I can't find words to express my happiness. Here, there is no longer anything but Him. He is All. He suffices and we live by Him alone. I find Him everywhere, while doing the wash as well as while praying. Just picture to yourself Elizabeth in her little cell which is so dear to her; it is our sanctuary, just for HIM and for me... "
And, she wrote to a friend:"If you walk rooted in Christ, strengthened in your faith, you will live in thanksgiving, the love of the sons of God"
This thanksgiving bubbles over from the grace to accept either suffering or consolation equally. "O Eternal Word, Word of my God. I want to spend my life in listening to you, to become wholly teachable that I may learn all from you. Then, through all nights, all voids, all helplessness, I want to gaze on you always and remain in your great light . . . O my Three, my all, my Beatitude, infinite Solitude, immensity in which I lose myself, I surrender myself to you as your prey. Bury yourself in me that I may bury myself in you until I depart to contemplate in your light the abyss of your greatness." On Thursday, I hurt my hand and it is still sore, and today, a heavy 70 pound box fell on my arm. My left side now feels quite painful. I shall try and type, but it hurts. Moving on to Elizabeth of the Trinity, I am asked again and again, why is it that one must go to the single, celibate saints for examples. Three simple reasons. 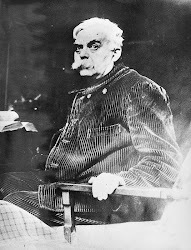 One, lay saints rarely wrote down their thoughts--if and when Raissa and Jacques Maritain are canonized, we can finally say we have lay saints who wrote copiously on the spiritual life. And, of course, they are unusual, as they had a Josephite marriage almost from the beginning, as a young couple deciding on this path. Two, most lay saints lack the framework of rules, such as the Dominican, Ignatian or Benedictine rules of the orders with which to form a vocabulary for writing about prayer. Three, many lay saints never wrote about anything. 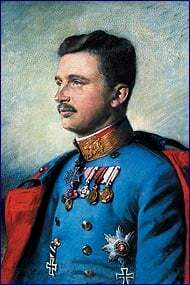 We have some letters from a few, but for the most part, the active life does not lend itself to putting pen on paper for most people in the lay life. 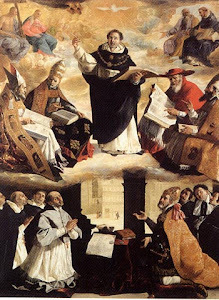 Also, many lay saints became oblates or tertiaries, and, therefore, used the spirituality of those orders to which they joined themselves for frameworks of prayer. Therefore, I think that looking at these great saints of prayer who have written about the levels of prayer can help us pick and choose spiritualities which give us a daily framework of prayer. 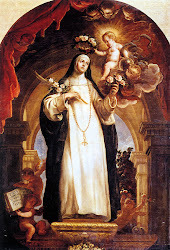 Elizabeth of the Trinity, under the spotlight already this year on this blog, died at 26. Thankfully, her prioress recognize early on that this young nun was a saint and the Carmelite was allowed, and encouraged to write. 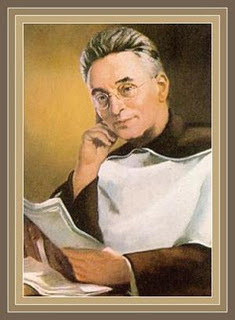 Of course, we have the writings of St. Therese of Lisieux, and the great Teresa, revealing a tendency in the Carmelites for knowing the value of sharing biographies, essays, poems and so forth. 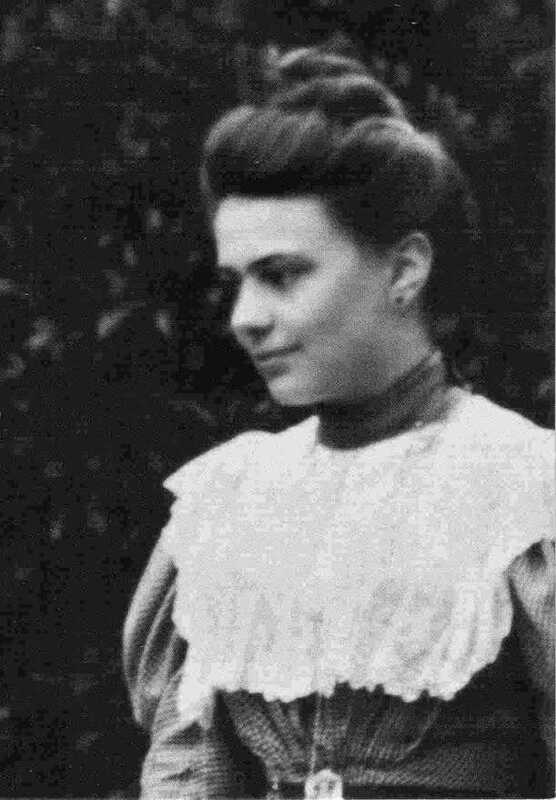 We have many writings of Edith Stein. Elizabeth wrote quite a bit for an extremely ill young person. In this short post, I want to outline a few points of her prayer life which can be applied to the lay person attempting to love God in prayer times. Elizabeth's hidden life, one she stressed as vitally important for a relationship with the -Bridegroom Christ, applies to many lay lives. Stay-at-home mums live mostly hidden lives. Even dads who work have hidden spiritual lives. Students, who spend, hopefully, much time in study and reflection, should develop, as the growth in prayer is connected with study, time and manners of praying. The hidden life is a humble life, and Elizabeth reminds us over and over that humility draws Christ to the simple, lowly soul. Order and silence, a repeated theme here, are absolutely necessary for developing a prayer life. Too many lay people cloud their minds with trivia, nonsense, gossip. God waits for us all to slow down, simplify and wait on him. Elizabeth as a contemplative reminds us over and over to spend time in simple silence waiting for God. Poverty is a gift, Period. STS once told me that he was grateful that he grew up poor as it was easier for him to concentrate on the good stuff of God as he had learned, out of necessity, a high level of detachment from things. 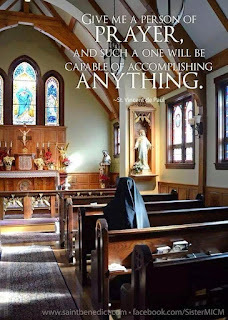 The young Carmelite told her mother, who had a hard time detaching herself from her daughter, that such partings, as going into the convent, and then dying young, both God's will, were elements of the process of detachment. Just before she died, Elizabeth realized that is was much harder for her mother to let go, than herself, as Elizabeth was looking forward to being with Jesus, the Bridegroom. She welcomed her suffering and death. Lay people can embrace the suffering brought about by family traumas of all sorts, and come to the same detachment from persons, places, and things. Nothing matters but love, the love of Christ, the love for Christ, the love for the Church, the love for one's neighbor. Elizabeth sang of love her entire short life, showing us the intimacy possible for everyone with Christ. Sadly, I am nursing now two wounds from two separate accidental domestic happenings, and must stop typing. Please pray for me.